Moritz Boehringer is back in the NFL. The German tight end, who became the first European player ever to be drafted without playing American college football back in 2016, has been allocated to the Bengals as part of the league’s international pathway program, per Darin Gantt of ProFootballTalk.com. Boehringer’s assignment to the Bengals completes this year’s program. Each season, teams in two divisions get a roster exemption to develop a player from another country. The player can be the 91st man on offseason rosters, and can be an 11th player on practice squads during the regular season. Boehringer was drafted by the Vikings, but spent his rookie season on the practice squad without ever appearing in a game. He came into the league as a receiver, but has since transitioned to tight end. He was with the Bengals as part of this program last year, and will be back in Cincy in 2019. The AFC North participated last year, but this year the AFC East is taking the place of the NFC South. Notably, Efe Obada was a participant in the program with the Panthers last year, and he went on to make Carolina’s 53-man roster last season. He was re-signed this offseason. Each of the players assigned to the AFC North were with those teams last year. Scotland-Williamson is a former rugby player, while Boehringer, Sankoh, and Ezeala all played American football overseas before making the leap. All of the AFC East players are new to the program. Given the Patriots’ track record of finding hidden gems, Johnson will likely end up leading the league in receiving yards at some point. Johnson was signed from the German football league. Neto was playing football in Brazil before being added to the Dolphins. Wade and Holmes are both former prominent rugby players. Well known to have pursued Earl Thomas, the Chiefs were incredibly close to having one of the highest-profile safety tandems in recent NFL history. Thomas committed to sign with the Chiefs the night before he agreed to terms with the Ravens, the new Baltimore defender said during an appearance on the Rich Eisen Podcast this week (video link). Thomas provided details on what was a one-year Kansas City offer. Having recently seen money become available after C.J. Mosley accepted a monster Jets offer, the Ravens swooped in with a four-year, $55MM Thomas proposal. Thomas said he was on the phone with Andy Reid the night before he agreed to the Ravens’ terms and indicated his family was packing up for a flight to Missouri. While more low-key, with no agreement having been widely reported, Thomas’ free agency appears to have unfolded in a fairly similar fashion as Anthony Barr‘s. “The Chiefs actually were about to send me a private jet and me and the family were packing up, getting ready to go, get on the jet, go to Kansas City, and I woke up the next morning and my agents told me that Baltimore really wanted me and they offered me a megadeal, and I took that,” Thomas said. The Chiefs opened free agency by authorizing a $14MM-AAV deal for Tyrann Mathieu. They were clearly quite close to pairing him with Thomas. Eric Berry was still on Kansas City’s roster at that point, but the team released its three-time All-Pro safety hours after the Ravens pried Thomas away. Before going down with a season-ending injury, Thomas was rumored as a Chiefs trade target as well. It is not known if Thomas gave the Chiefs a chance to match the Ravens’ offer, though they certainly could have given that the subsequent Ravens agreement occurred before the new league year began. Thomas added that the Cowboys, who offered a second-round pick for him last year, did not seriously pursue him in free agency. The Cowboys did not come forward with the kind of money the Ravens or Chiefs did, per Thomas. Kansas City has made some major changes to its defense, cutting Berry and Justin Houston and trading Dee Ford. Lower-profile defensive ends Alex Okafor and Emmanuel Ogbah have since signed, joining Mathieu, Damien Wilson and Bashaud Breeland as notable K.C. offseason defensive additions. But a Chiefs team that ranked 31st against the pass (though 12th in pass-defense DVOA) still could use some help in the secondary. Maybe this won’t be Marshal Yanda‘s final season after all. 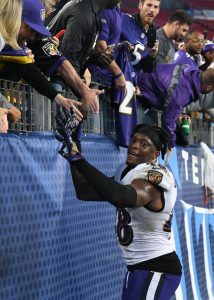 On Thursday, the Ravens reached agreement on a one-year extension with the seven-time Pro Bowl guard that will keep him under club control through the 2020 season, sources tell ESPN.com’s Adam Schefter (on Twitter). A seven-time Pro Bowler and two-time First Team All-Pro, Yanda has long been one of the best offensive lineman in the league. The Ravens have some uncertainty at left guard and center in advance of this month’s draft, so Yanda is especially important to the club moving forward. Yanda has dealt with some health concerns in recent years, including a broken ankle that ended his 2017 season after just two games. He is owed $7MM this year, a relative bargain. Financial terms of his new year are not yet known. Prior to the deal, the 34-year-old (35 in September) was set to enter the final year of his four-year, $32MM contract. With the new deal, Yanda will likely finish out his career in Baltimore, unless he wants to push into his late 30s. 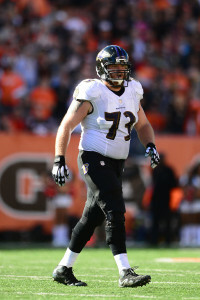 Recently, Ravens GM Eric DeCosta indicated that he wanted Yanda in the fold beyond 2019. With the new deal, they’ve likely accomplished that goal. Thanks in part to Yanda, the Ravens managed 141.9 per game, good for second in the league. The Ravens hope to hit a similar mark this year as quarterback Lamar Jackson continues to make plays with his legs. New deals for kicker Justin Tucker, outside linebacker Matthew Judon, offensive tackle Ronnie Stanley, inside linebacker Patrick Onwuasor, and defensive tackle Michael Pierce could be on deck for the Ravens, as ESPN.com’s Jamison Hensley writes. Ozzie Newsome had been the Ravens’ GM since the club’s inception in 1996, and he was the architect of two Super Bowl champions. 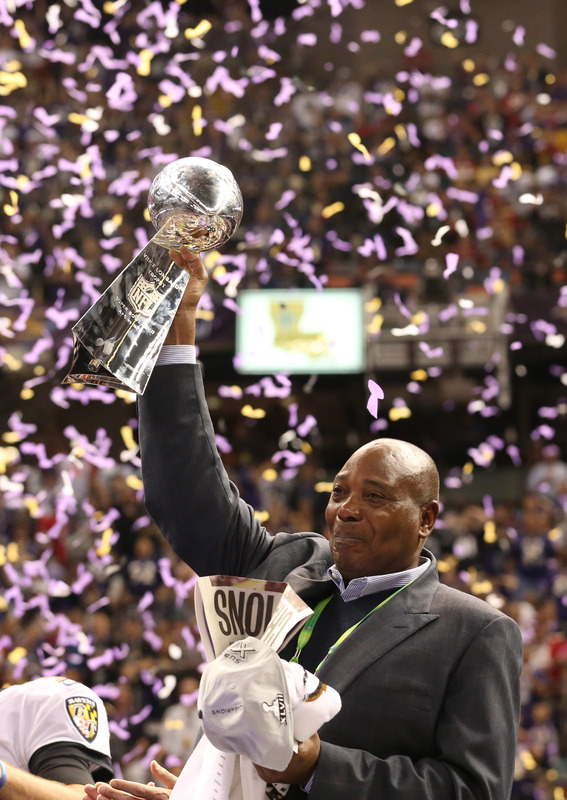 Last January, Newsome announced that 2018 would be his last season as Baltimore’s GM, but it was reported that he would remain with the club in an unspecified role. Now, that role is becoming a bit clearer. As Jamison Hensley of ESPN.com writes, Newsome’s voice still carries plenty of weight in the Ravens’ front office. He doesn’t have an official title, and new GM (and longtime Newsome lieutenant) Eric DeCosta has Newsome’s old office and the final say on roster decisions, but Newsome is plenty involved in the draft and free agency process. Hensley observes that Newsome was instrumental in closing the deal with Earl Thomas last month — he has a good relationship with Thomas’ agent — and is doing a great deal of work on this year’s collegiate prospects. It remains unclear how involved Newsome will be on draft day, but DeCosta acknowledged that his mentor is likely to have a say on nearly every pick. And while head coach John Harbaugh reiterated that what DeCosta says goes, it can’t hurt to have someone as respected as accomplished as Newsome as a sounding board. Newsome is under contract at least through 2020. 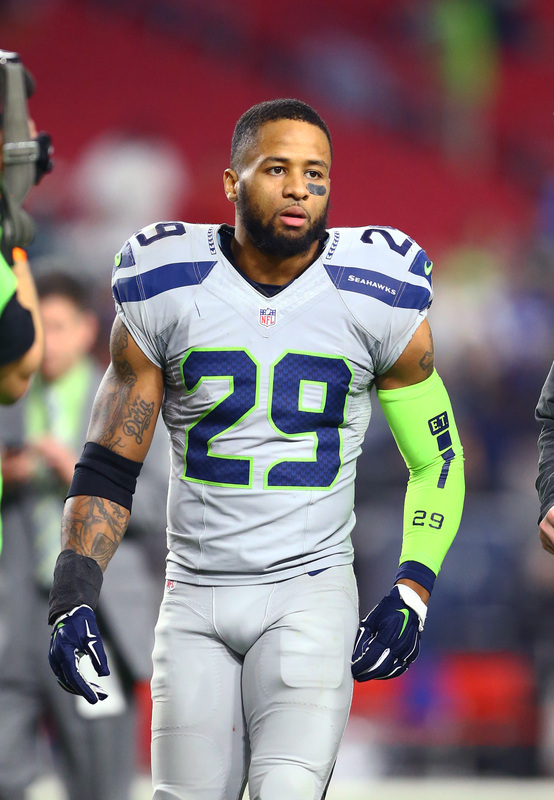 Receiver Ryan Grant was involved in one of the more bizarre situations of last offseason. The former Redskins receiver looked like he was about to cash in big time, and signed a four-year, $29MM contract with $14.5MM guaranteed with the Ravens. But soon after, the Ravens slapped him with a failed physical designation and voided the contract, making him a free agent again. He ended up settling for a one-year, $5MM deal with the Colts. Now he’s on to a new team, signing a one-year, $2.5MM deal with the Raiders earlier this week. In a recent interview with Sirius XM, Grant dished on what happened with Baltimore and finally explained all the details. Grant said the Ravens just got cold feet and that the injury that made him fail the physical wasn’t anything serious, just a “mild ankle sprain,” as he put it. Even though he lost out on a significant amount of money, Grant isn’t bitter about it and said he’s genuinely happy to be in Oakland. “I feel like, had I signed with the Ravens, they probably would have, you know, did some other shady stuff to get me traded or released or something like this. So I’m thankful that they did what they did,” Grant explained. “I’m happy where I am now. Super excited to be a part of the Raiders organization. It’s the spirit and the culture of the team. And it just feels like I’ve been drafted all over again. I’m just so ecstatic,” he continued.